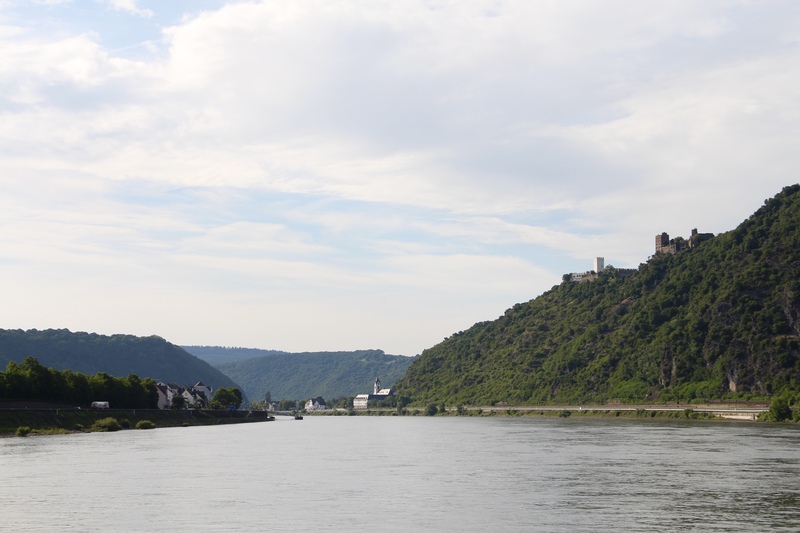 Located South of Cologne, the Rhine River Valley is a tourist hotspot in Germany. People from all over the world flock to see the beautifully preserved castles that dot the winding rivers, and to drink the crisp, delicious rieslings among the vines where the grapes grow. The upper section of this breathtaking river valley is designated as UNESCO World Heritage Site for a reason. It’s a magical place, bursting with food, drink and fairytale villages and castles. Is there anything better?! 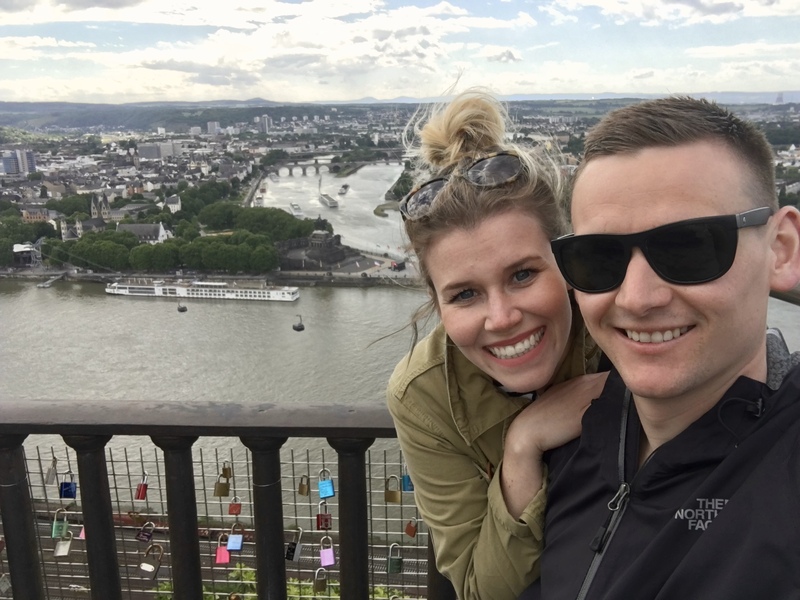 After spending a few days exploring Berlin, we boarded a train that brought us to Koblenz, Germany. 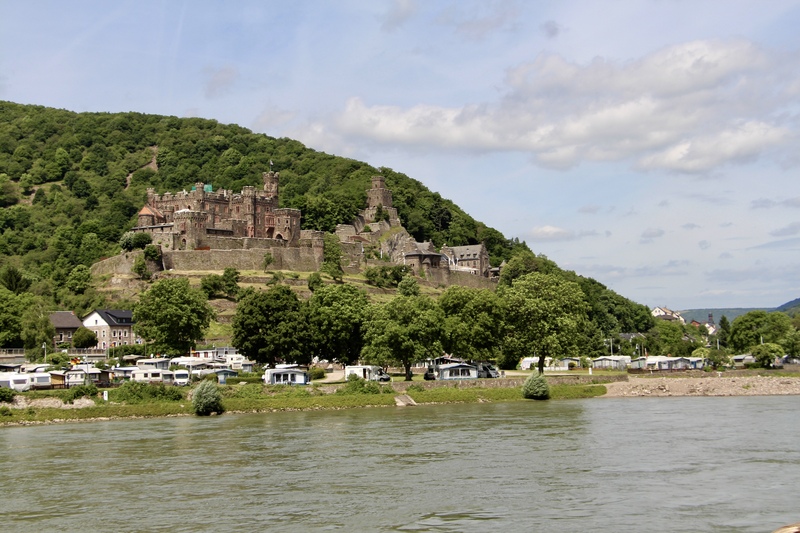 We chose Koblenz because of it’s centralized location at the meeting point between the Mosel and Rhine rivers. We only spent two nights here, but we’d planned out our stay precisely to maximize our time, and it paid off. 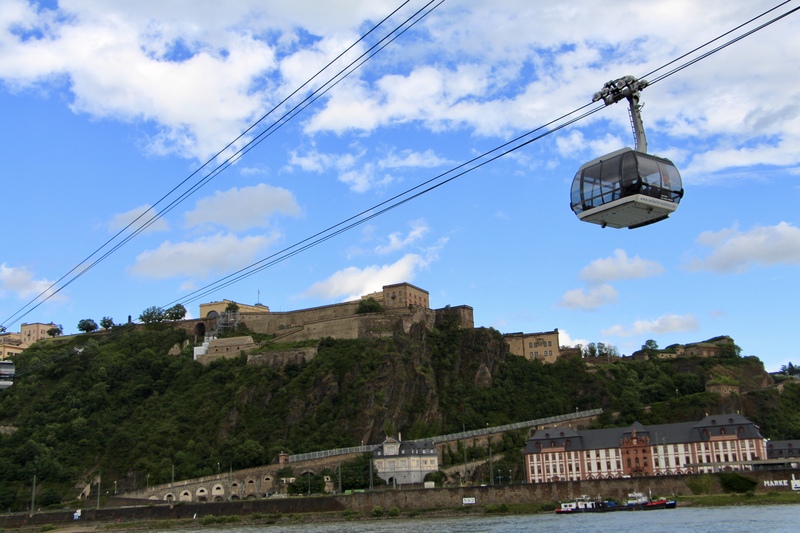 Koblenz is famous for it’s cable car system that takes you over the river and up to the Ehrenbreitstein Fortress, an old military fortress which is now a museum and where the area hosts many different events. 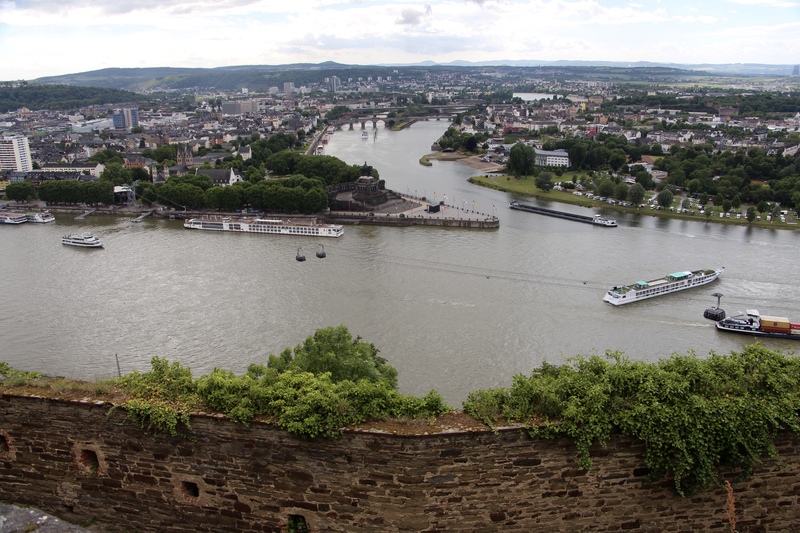 The fortress itself isn’t terribly exciting, but the ride up and down is nice to do and the view allows you to see out for miles, and gives you a great aerial view of the Deutsches Eck (the German Corner) where the Mosel and Rhine rivers meet. 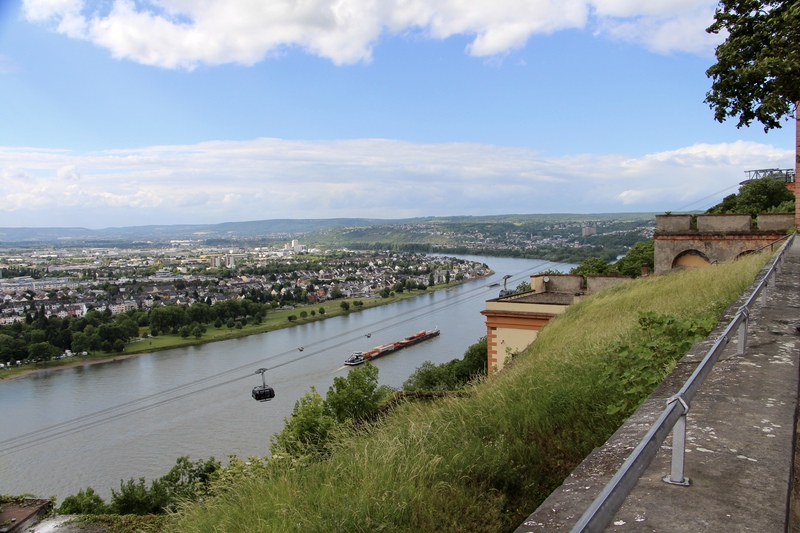 Aside from these attractions, it’s the location of Koblenz in the Rhine River Valley that is the biggest draw, as it’s located on the KD Rhine Ferry system that runs up and down the Rhine River on a daily basis. 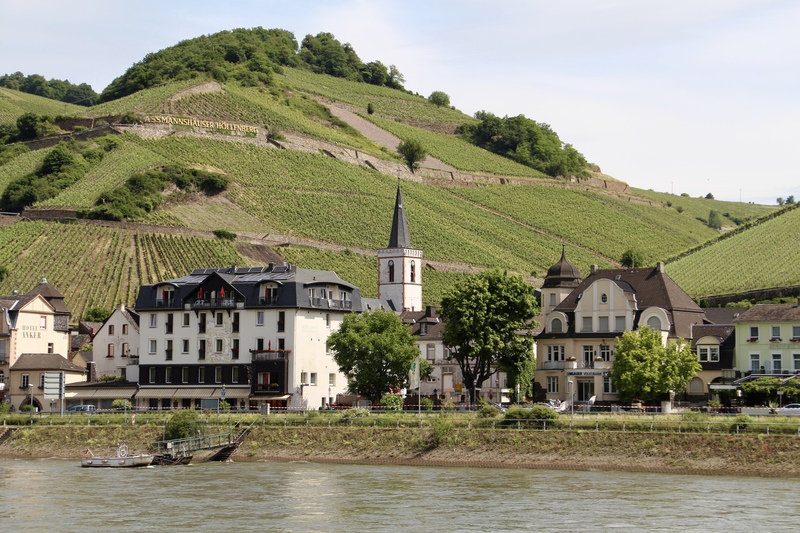 You can also rent a car, and quickly drive to many small towns and wineries either down the Rhine or up the Mosel. 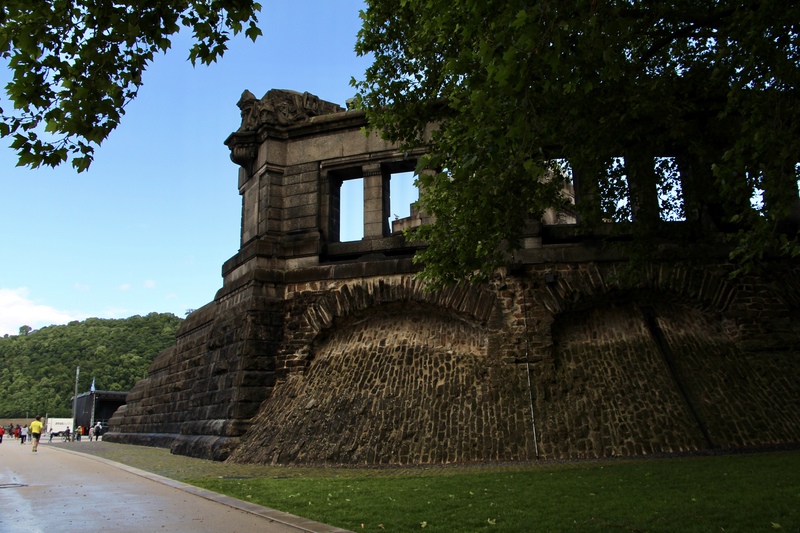 If you’re looking for a solid base to explore the area – Koblenz is the place to choose! 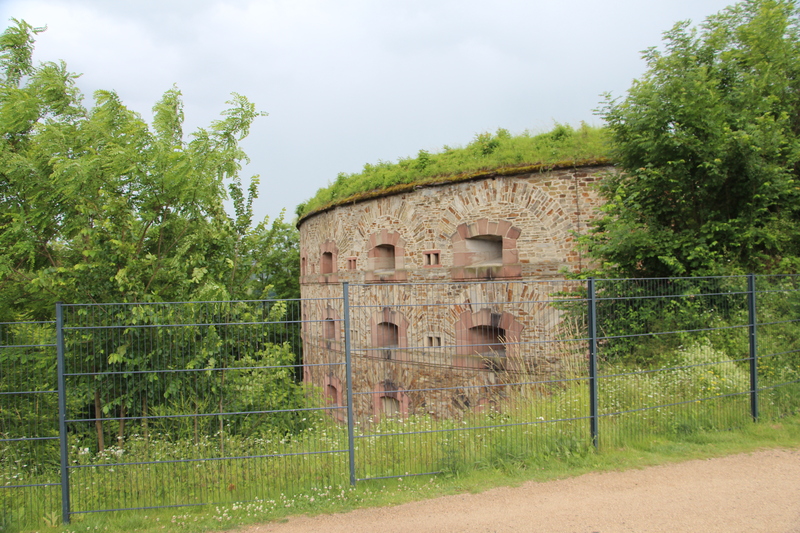 There are not a lot of accommodation options in Koblenz. I recommend an AirBnB or some other type of apartment rental. We stayed in an apartment at Aparthotel am Münzplatz and loved the central location in the heart of the old centre of the city. Koblenz is also easy to arrive in by train as well, as it’s located close to many larger German cities like Frankfurt, Cologne and Bonn.